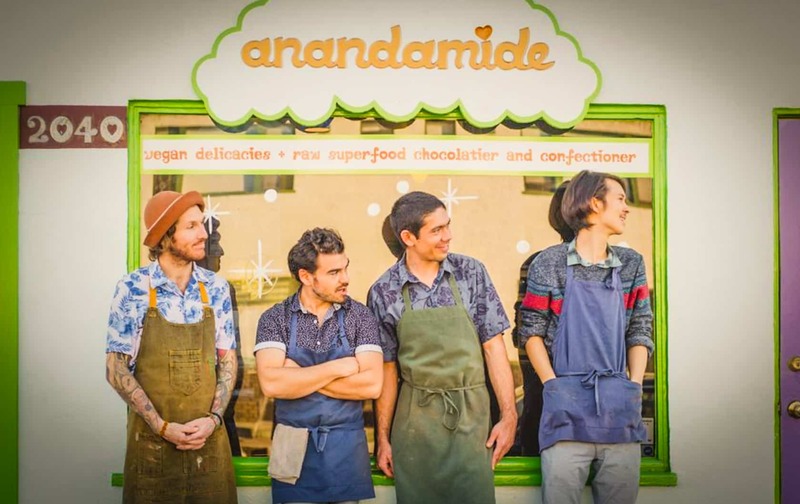 The chocolatiers and workers of Anandamide pose outside their Fourth Street location. Courtesy of Anandamide. Shortly after Do Good Donuts announced their closure, two other Fourth Street businesses have decided to call it quits: Mr. Makoto, the ramen shop that opened just this past August from the owners of Seoulmate; and Anandamide, the vegan chocolatier that has been serving Retro Row for six years. The tiny ramen shop had taken over the former Yummy Garden Chinese restaurant with high hopes, particularly since their following at Seoulmate was both loyal and large. 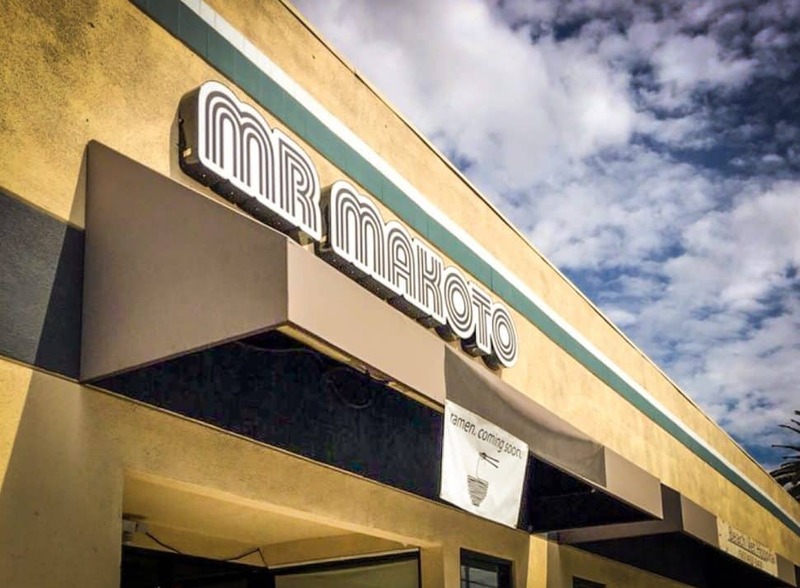 Add to this Long Beach’s bourgeoning ramen scene—HiroNori and GuRamen, in particular, have a constant influx of patrons—and Mr. Makoto seemed destined to be a staple. Mr. Makoto, on Fourth Street between Temple and , closed. Courtesy of Yelp!/Les S.
While owner Jason Kang has yet to return comment for this story, it remains uncertain what particularly prompted the close. Further west in Retro Row proper, longtime vegan chocolatier and dessert shop Anandamide will be closing up shop on April 1 after serving the neighborhood for six years. The self-described “psychedelicatessen” was a pioneer in terms of creating a vibrant vegan scene. Long before Long Beach’s vegan scene blew up, Anandamide quietly opened up shop and began serving everything from truffles with lucuma and chaga to probiotic soda made from coconut water. Grab your Kundalini Rising bars while you can.